School can seem overwhelming at times, with so many different assignments and exams keeping track can be a nightmare. That is why it is important to have the right education applications installed on your mobile phone. 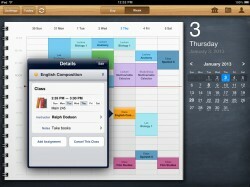 This way you will be able to keep track of your school work and maybe even have some time for a social life after all. There are now over 20,000 education applications to choose from, and that number is rising steadily. 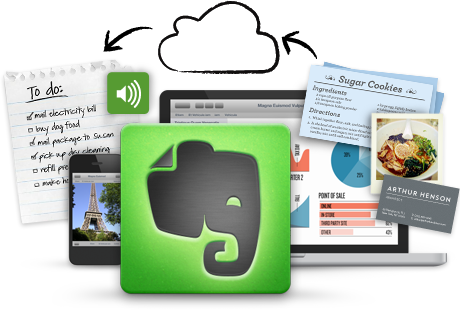 Evernote is a cloud-based note taking service developed by Evernote Corp. It that can make following along in class a lot easier. This application allows you to take notes, pictures, and even record audio notes. These can all be categorized into folders which make them great for organizing into lessons or classes. This app allows you to sync across all of your other devices including Mac, Windows, iOS and Android. Long gone are the days of emailing yourself important notes because they will already be loaded up on your account. 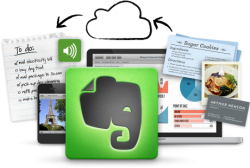 Evernote also allows for image capture from cameras on supported devices. A free account allows you to upload 60 MB of data a month. Users can also upgrade to a premium service that disables advertising and allows up to 1,024 MB/month for $45 per year. This application is free and can be found on the App Store. It can be used on Windows Mobile, WebOS, BlackBerry and iOS. Trello is a great app made by Fog Creek Software that makes classmate collaboration much easier. Many colleges and universities base a lot of their course work upon group projects. Although the collaborative process can be challenging and rewarding, trying to make everyone’s schedule match can be near impossible. 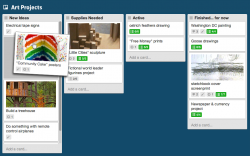 Trello can help to organize group projects by assigning each person a label. Using the assigned label, Trello filters the responsibilities that individual is responsible for through the app. Deadlines, tasks and collaboration can all be done in real-time; making updates and changes available instantly. Trello is free, making it the perfect download for students looking to stay organized and accountable. This application is available for iPhone, iPad, iPod and Android. Sleep Cycle Alarm Clock is an app that allows students to avoid potentially grumpy mornings. 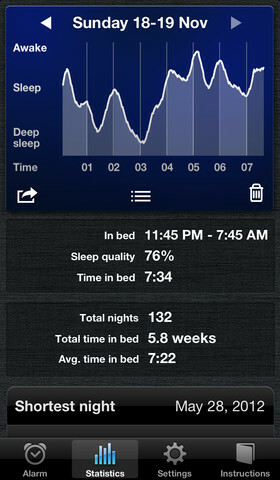 This application uses an accelerometer that monitors your sleep movement. It will allow you to sleep soundly during your deepest sleep, making the most of restful period. It also will wake you up when you are in your lightest mode of sleep. This application is intended to have you wake up feeling fully charged and at ease for early classes. Getting a restful sleep can be extremely challenging during the hectic school year, so the 99 cent price tag for Sleep Cycle Alarm Clock is very worth it. It is available for iPhone, iPod touch and iPad. Cram is an educational application that is designed to help students study for an exam or test. Cram was developed by SimpleLeap software in 2009. The app allows the user to create multiple-choice quizzes and study aids using their own class material. Cram will randomize the answers to ensure that students aren’t memorizing a particular option. Cram also allows students to share their quizzes with other classmates, making the process much quicker. Many students dread studying, but Cram allows studying to become interactive and fun. This application costs $4.99 and is available for iPhone, iPod touch and iPad. 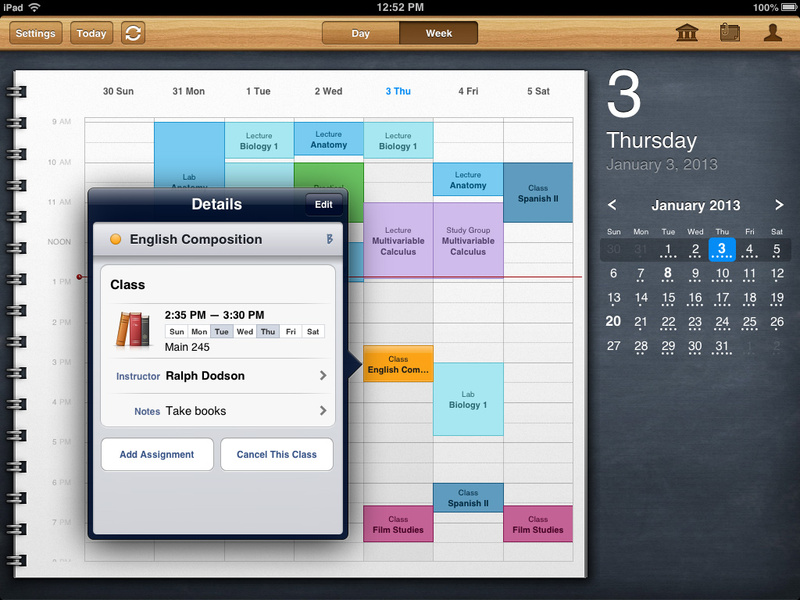 iStudiez Pro is a very useful educational application that helps students become organized and focused. All you have to do is fill out class names and times and iStudiez Pro will notify you when assignments and tests are due with a few clicks. This does take some basic effort on behalf of the student, but it operates itself as an interactive online day timer. This application costs $2.99, but is worth it in the long run because you will never forget about an assignment or test. It is available for iPhone, IPod and iTouch. School can be very challenging with many students trying to juggle course work, part-time jobs and a social life. Education applications are great, especially when used on mobile devices because they can become your life organizer. You can keep your course work while on the go, making paper notes and forgotten assignments a thing of the past. Keep in mind that these applications are constantly being updated and added to new devices so make sure to check online if they are available for your device. With the help of these trusty educational applications you can now be the organized and prepared student you have always wanted to be.